For a range of roofing services from Sydney‘s first choice in slate roofing, contact Mr Shingles, the award winning members of the Master Tilers, Slaters & Shinglers Assoc. of NSW. With over 25 years experience in roofing services, we live and breathe slate roofing, with a reputation among architects for specialised roofing. For an obligation free quote on slate roofing or shingles, contact our team in Sydney today. We’ll be happy to answer any questions you may have about our services. 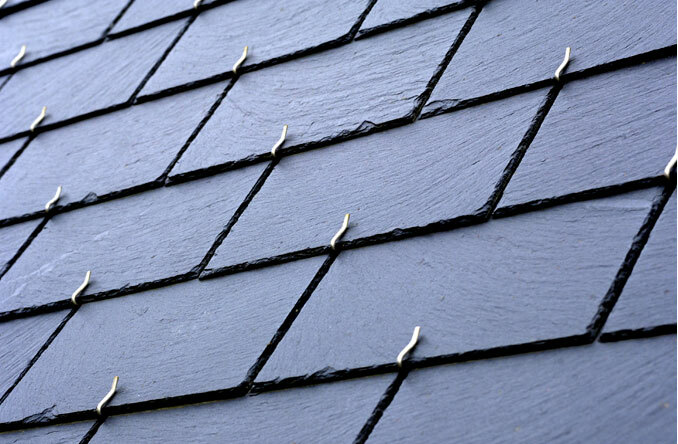 Welsh Penrhyn roofing slate is the slate that sets the benchmark for all natural roofing slates. Welsh Slate is extracted from some of the world’s finest deposits formed up to 590 million years ago. Slate blocks from the quarry are cut to size using laser guided saws. The slate blocks are then split to their final thickness using traditional skills and tools, before being dressed to size with chamfered edges. Why is it called extraordinary? There is no other roofing material which has demonstrated this extraordinary durability. Welsh slate is a very cost effective roofing material as it is less costly to maintain and has a lower frequency of re-roofing. Welsh slate is impermeable to water, unaffected by UV light, unaffected by normal heating, freezing and thermal cycle, unaffected by atmospheric pollution, sea air and sea spray, unaffected by insect attack and is non combustible and does not support combustion.